All us Jeepers get that saying. We say it a lot to our non-Jeep friends and family. We love our Jeeps. Our Jeeps make us happy. Our Jeeps are like a part of the family. For some of us our Jeep has changed our life. 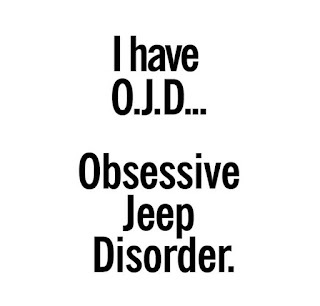 But how do you know if you have Obsessive Jeep Disorder? 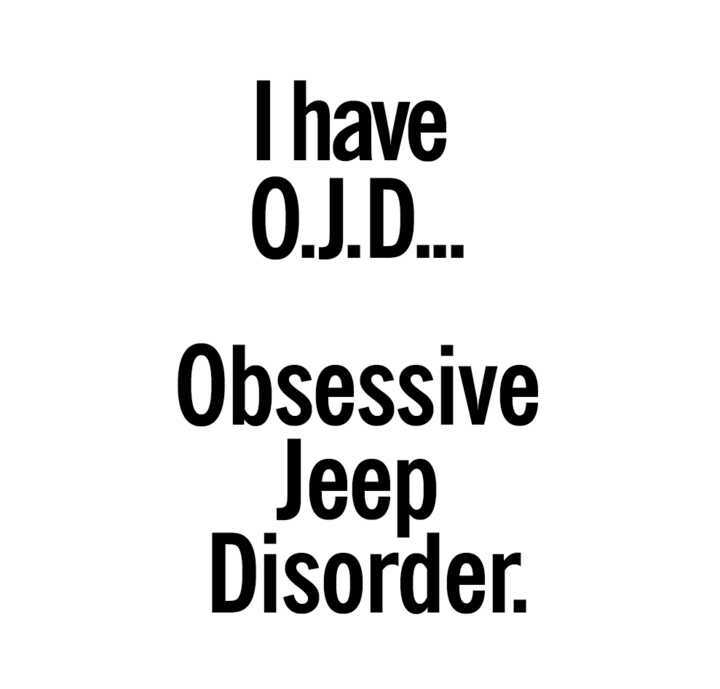 How do you know if Jeep is your obsession? One or more and you have OJD, and that's OKAY because you are not alone! You are part of a big, wonderful family! 1. You are sad when you are not with your Jeep. 2. You get angry when your Jeep Wave doesn't get returned. 3. 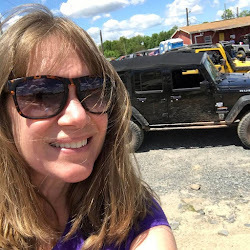 You ask the hostess at a restaurant to seat you at a table by the window, so you can keep an eye on your Jeep. 4. 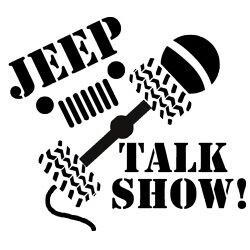 You are constantly buying Jeep parts, whether they are serious mods or silly little accessories, just to get your Jeep Parts fix. 5. 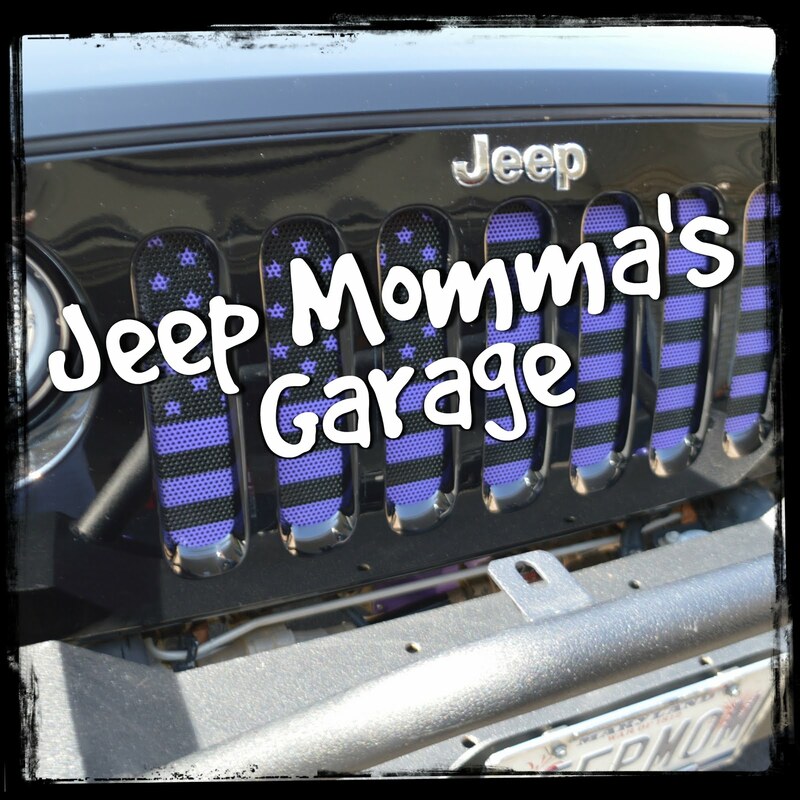 You are constantly opening the door to the garage to make sure your Jeep is okay. 6. You have more pictures of your Jeep on social media than of your kids. 7. You park next to any Jeep you see no matter how far you need to walk to your destination. 8. You think about your Jeep even when you are not driving it.